Marble Releif Sculptures from the east frieze around the Parthenon Block IV 24-27. 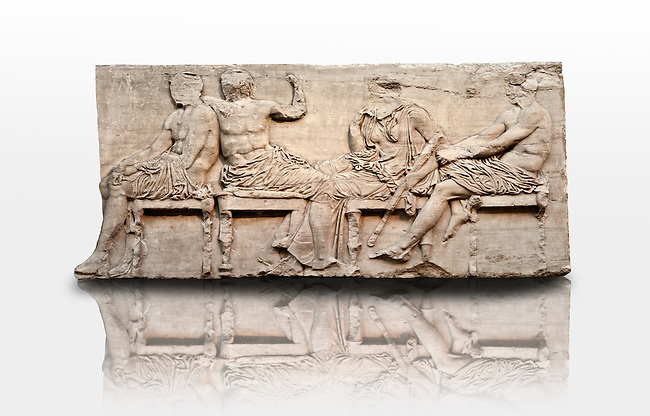 From the Parthenon of the Acropolis Athens. A British Museum Exhibit known as The Elgin Marbles. Far Richt Ares sits holding his knee to his left Demeter is leaning on one wrist, a sign of mouring, grieving for her daughter Persaphone who had been abducted by the gods of the underworld.